Whether you roast single origin beans, or complex blends, Roastmaster handles the clerical work for you. 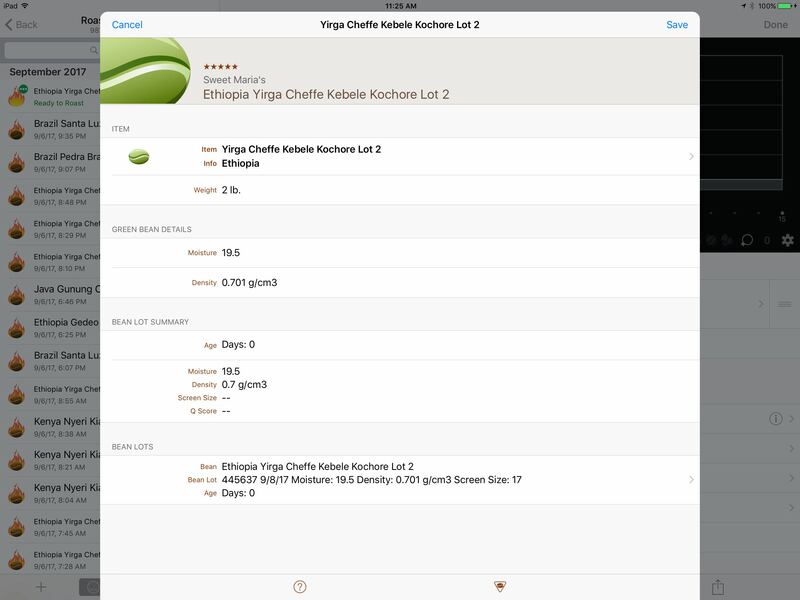 It automatically keeps your database stock in sync with your physical inventory as you roast. You can see your inventory at a glance on Roastmaster’s home screen, grouped by bean, country or vendor. The bean library list goes further and offers advanced grouping, searching and sorting capabilities. 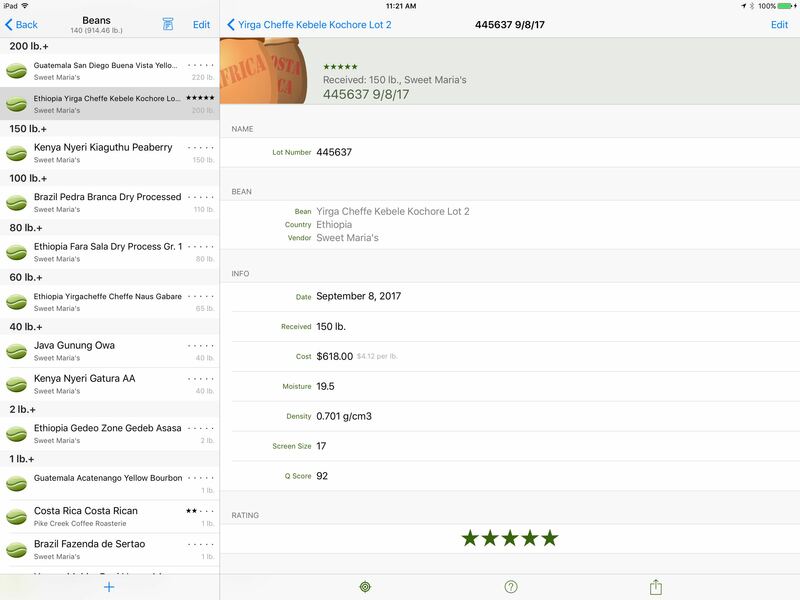 But, for the ultimate vantage point, Roastmaster’s inventory reports provide comprehensive details of any aspect of your stock, vendors, supply quality and costs. 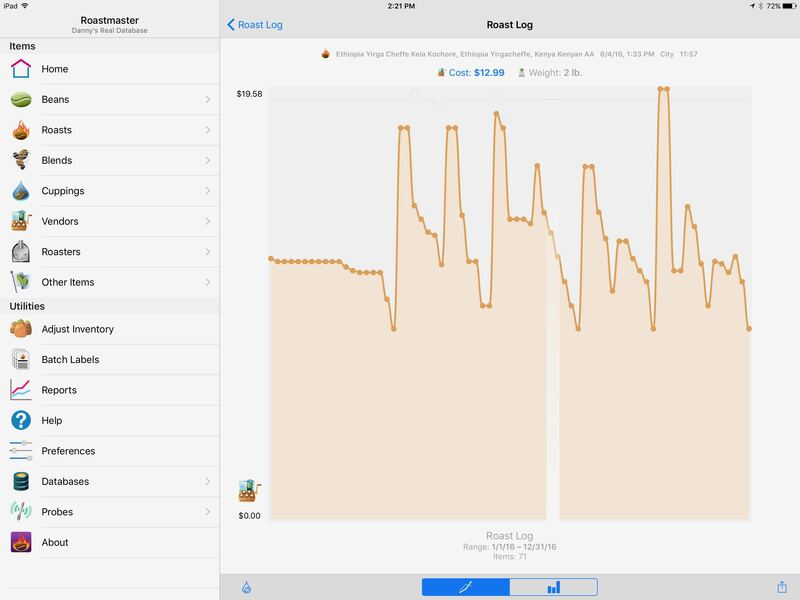 Roastmaster tracks each shipment of beans, creating lots automatically where you can record vital details about the current shipment, such as cost, lot number, moisture content, density, screen size, Q Score and others. Though this information is easy to browse, you can also run bean lot reports to see how individual metrics change over time–keeping a close eye on the cost and quality of your supply. 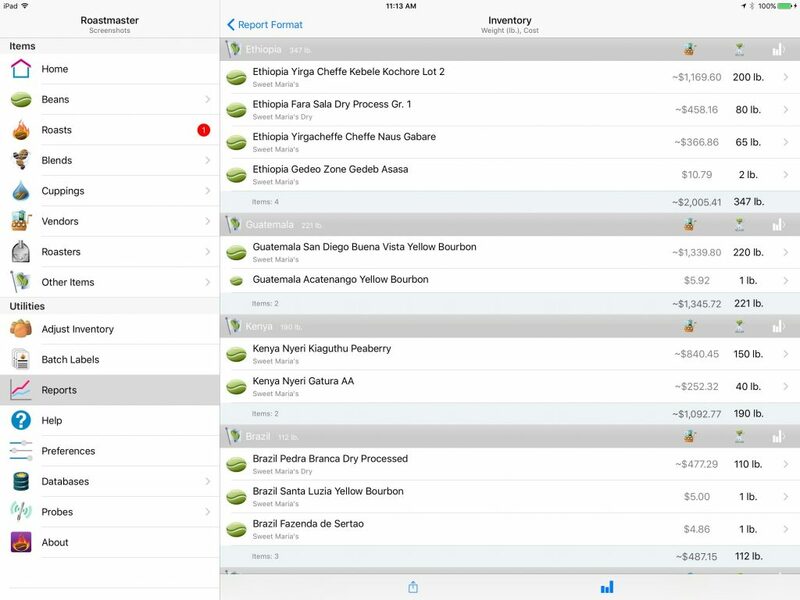 When shipments of beans arrive, Roastmaster makes the clerical work easy with a dedicated adjust inventory screen. Just find the beans you’re receiving and augment their inventory. 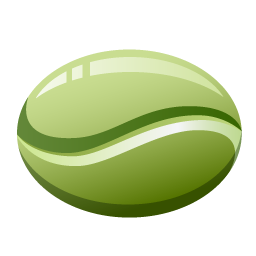 You’ll be presented with a new bean lot, populated with the most recent details. The information you record here will be available for auditing, roasting and reporting via inventory or bean lot reports. Whether you simply want to see the cost from the console of a single roast, or a cost analysis of everything you’ve roasting in a year, Roastmaster is eager to help. And, report data doesn’t end in Roastmaster–you can export reports as tab-delimited text for import into a spreadsheet application. 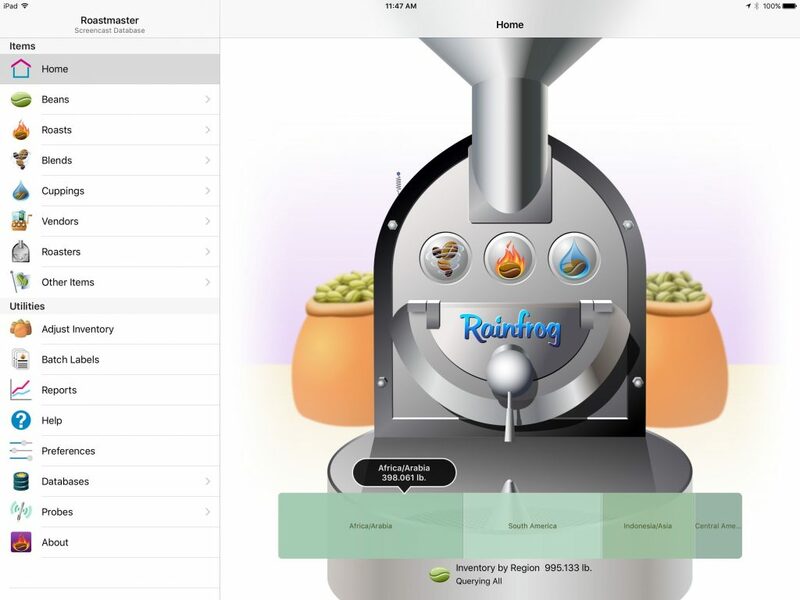 As you roast, Roastmaster records point-in-time quality details about the beans you are roasting–pulling this information automatically from the latest applicable bean lot. You can even override this information for moisture and density, which may change daily. This information is vital for both accurate profiling and quality auditing for cupping evaluations. You can fully customize and modify any of Roastmaster’s standard entities and attributes, such as countries, processing, region, caffeine, screen size and growth. Feel free to edit and annotate the standard entities, or create new ones entirely. 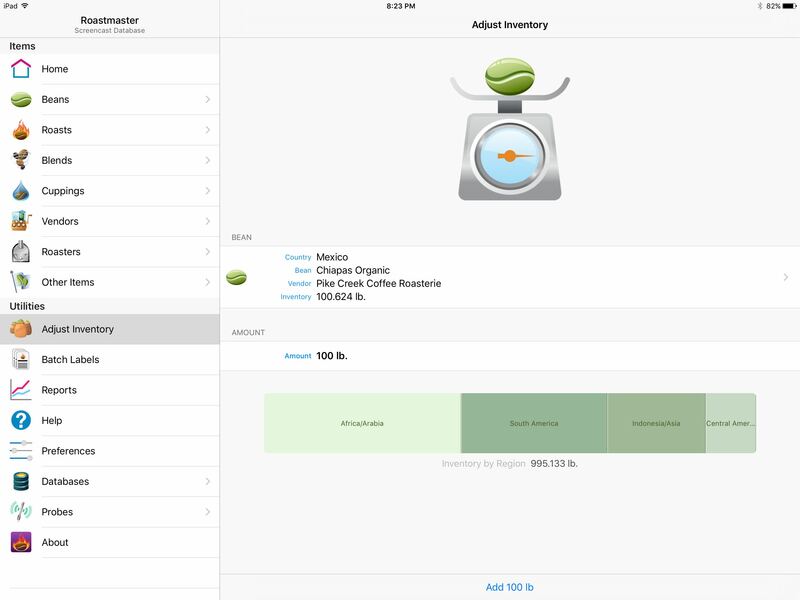 This gives you full control over how you catalog and track your inventory and roasting. 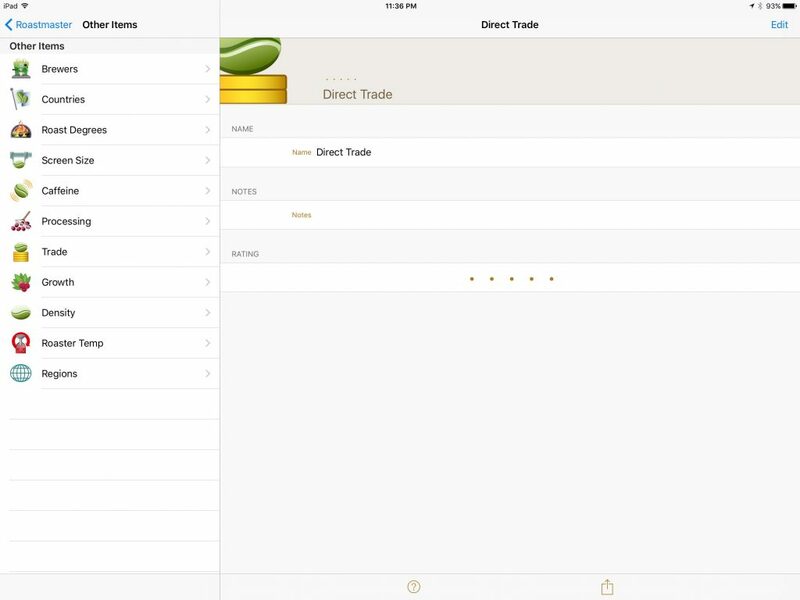 You can even track bean varietal naming identifiers separately. Be as granular as you like–Roastmaster strives for flexibility and encourages attention to detail.